Lasmiditan is a novel centrally acting serotonin agonist with specificity for the 1F serotonin receptor, which was not found to have vasoconstrictive effects. The following article is part of conference coverage from the PAINWeek 2018 conference in Las Vegas, Nevada. Clinical Pain Advisor’s staff will be reporting breaking news associated with research conducted by leading experts in pain medicine. Check back for the latest news from PAINWeek 2018. LAS VEGAS — Lasmiditan was found to be more effective compared with placebo in eliminating pain and other symptoms associated with headache in individuals with migraine, in a study presented during the 2018 PAINWeek conference, held September 4-8. Lasmiditan is a novel, centrally acting serotonin agonist with specificity for the 1F serotonin receptor, which was not found to have vasoconstrictive effects. Study participants were from 2 clinical trials, SAMURAI and SPARTAN (ClinicalTrials.gov identifiers NCT02439320 and NCT02605174, respectively), and had a Migraine Disability Assessment Score ≥11 (moderate disability) and 3 to 8 attacks of migraine per month. Participants were randomly assigned to receive a first dose of treatment (SAMURAI: 1:1:1 ratio of lasmiditan, 200 mg; lasmiditan 100 mg; or placebo; SPARTAN: 1:1:1:1 ratio of lasmiditan, 200 mg; lasmiditan, 100 mg; lasmiditan, 50 mg; or placebo). The treatment was taken within 4 hours of migraine onset. For patients in need of rescue treatment, or those with recurring migraines, a second dose of the same drug as the initial dose was assigned. 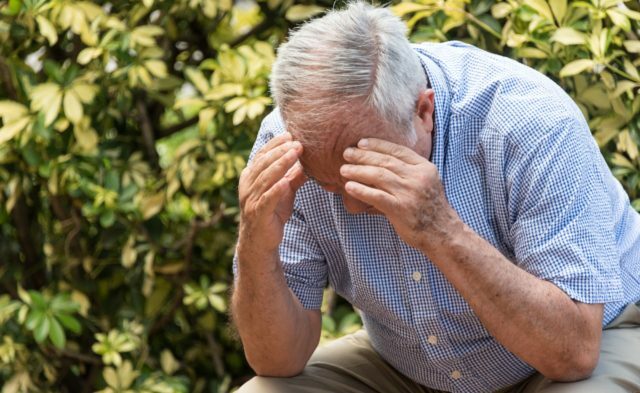 The percentage of participants in each group who were headache pain-free and most bothersome symptom-free (2 hours after the first dose) were the study’s primary and secondary outcomes, respectively. In the SAMURAI trial, 32.2% of participants who had received lasmiditan, 200 mg were headache pain-free compared with 15.3% of participants in the placebo group (P <.001), and 40.7% vs 29.5%, respectively, were also most-bothersome symptom-free (P <.001). In the SPARTAN trial; a greater percentage of participants who had received lasmiditan, 200 mg vs placebo were headache pain-free (38.8% vs 21.3%; P <.001), and most-bothersome symptom-free (48.7% vs 33.5%; P <.001). Results were comparable in participants who had received lasmiditan at 100 mg and 50 mg compared with placebo. The most common treatment-emergent adverse events with lasmiditan were dizziness, paresthesia, somnolence, fatigue, nausea, and lethargy, and most events were mild to moderate in severity. Wietecha LA, Kuca B, Asafu-Adjei J, et al. Phase 3 studies (SAMURAI, SPARTAN) of lasmiditan compared to placebo for acute treatment of migraine. Presented at: PAINWeek 2018; September 4-8, 2018; Las Vegas, NV. Poster 70. For more coverage of PAINWeek 2018, click here.